Karla Foster gives a speech during the Mt. San Jacinto College commencement on Friday. Karla Foster doesn’t believe in waiting for magic to turn her dreams into reality. She believes in rolling up her sleeves and making it happen. 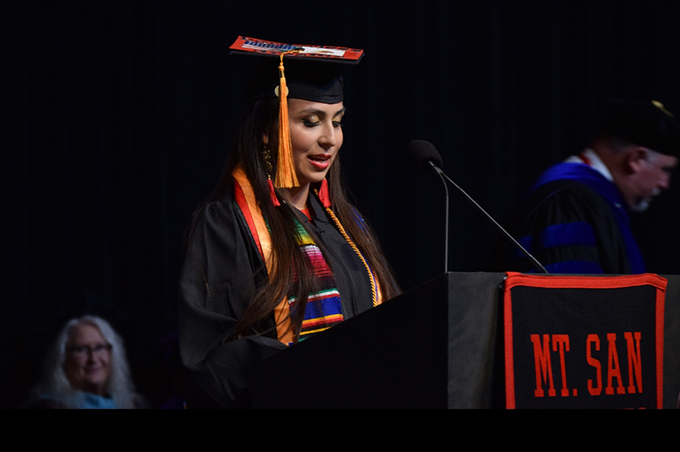 That’s how the single mother of four realized two of her dreams: receiving two associate degrees on Friday from Mt. San Jacinto College and earning a full-ride scholarship to the University of California, Berkeley. 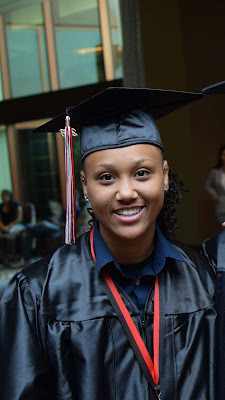 Delacy Brown (left) attended classes on the San Jacinto Campus and was recognized as the Most Valuable Player on the Lady Eagles basketball team. The team won the program’s first state championship this year. Brown, 20, received a full ride scholarship to California Baptist University, where she plans to earn a degree in psychology. Forty-four graduates received their nursing degrees. As part of their studies, more than half will continue to serve as interns with local hospitals that partner with MSJC in the upcoming Summer 2018 Occupational Internship program. This internship supports the mission of transition to practice. 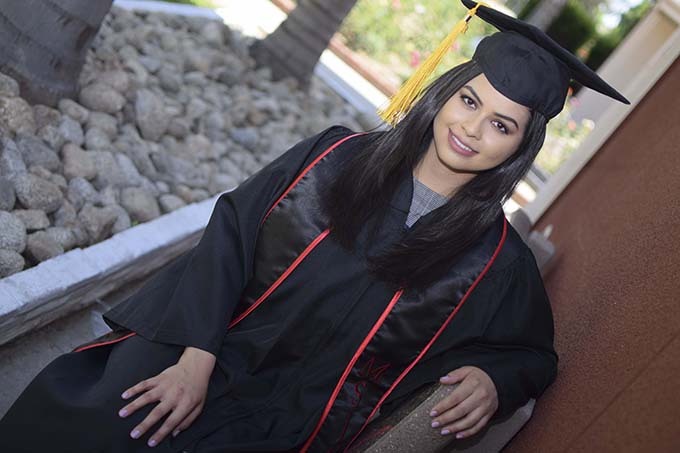 Last year, MSJC graduated 44 students, with all 44 passing the National Council for Licensure Exam (NCLEX) and MSJC anticipates the same for this current group of graduates. Last year, all graduates who participated in the Occupational Internship program secured employment through their internship opportunity.